Digital Platforms for Automobility — Causeit, Inc.
Automobility is the luxury of being able to envision a destination, click ‘go,' and arrive with a minimum of effort or conscious coordination. Automobility may seem like a simple concept. We should be able to easily get from point A to point B, and we would like to imagine such a journey could happen at the scale of the modern world. Why can't we drive wherever we want, as quickly we want, or be efficiently transported from one place to another? For ages, the handoffs between various transit systems and the complications of having to reconcile the tensions of systems in the commons has been problematic. But with recent innovations in business models, technology, and the way transportation is perceived, the possibility of true automobility is clearer than ever before. In this article, we’ll take a brief look at the history of mindsets towards automobility, and get a clearer view of the assumptions which shape the current state of the automotive and transit industries. As we shift our focus to the present, we’ll examine how the Information Age’s rising tide of data and rapidly-decreasing ecological resources have triggered deeper awareness of the close relationship between us, our modes of transportation, the devices and networks we use, and the planet that we rely on for survival. We'll also look into the future possibilities of automobility, where new technologies like 3D printing, artificial intelligence, the maker movement, sensor networks, and many others will unfold in ways which cannot yet be fully imagined. 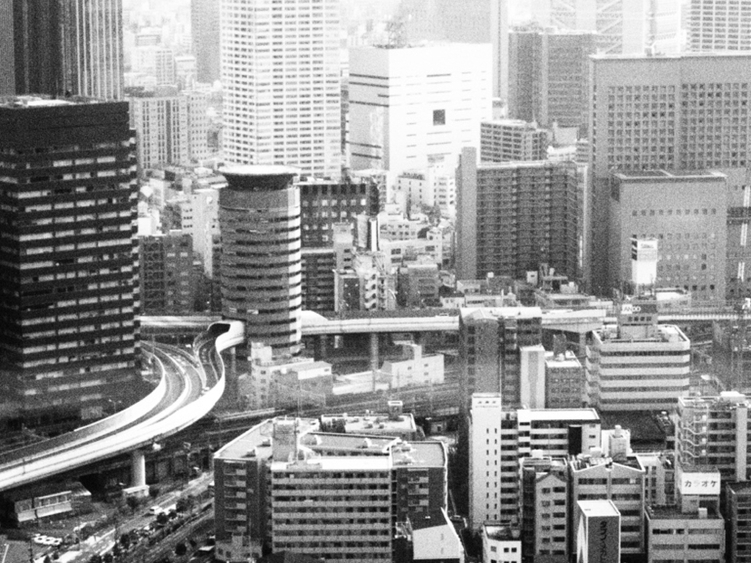 Mindsets about mobility need to change before the promises of technology can be realized. Henry Ford once famously said, “If I had asked people what they wanted, they would have said faster horses.” Steve Jobs, perhaps the most visible leader of the smartphone era’s everything-everywhere connectivity, echoed a similar sentiment: “A lot of times, people don’t know what they want until you show it to them.” What is it about these hubristic innovators that helped them succeed? Perhaps the vision for their industries included bigger futures beyond what everyday people had the resources, privilege, or ingenuity to design. Elon Musk, CEO of Tesla, goes a step further in proposing that in the near future "people may outlaw driving cars because it's too dangerous… You can't have a person driving a two-ton death machine.” Yet, at the same time, Musk is one of many vocal opponents of certain kinds of artificial intelligence. Like many of us, he sees a tension between the benefit of delegated decision-making in the driving experience and the need for caution. We will confront many of these “What if?” scenarios that automated and connected cars invite us to explore. A framework for understanding the technological shifts in automobility—from our recent past to the far future. In order to make sense of the massive shifts we’ve experienced technologically, we can look to the framework of the Cyborg Spectrum—the journey from our recent past through to the far future. At the beginning of the 21st century the Industrial Age (Automobility 1.0) is coming to an end—with a lengthy hybrid (1.5) age. At the apex of the Information Age we will see the emergence of Automobility 2.0, based around the Social Network of Things (when devices talk to and negotiate with each other, first introduced in Harvard Business Review by Mark Bonchek and expanded in Causeit's short book on the Social Network of Things)—a time when devices and people are connected through pervasive internet access, a rich web of sensors, new advances in artificial intelligence, deep APIs and growing cultural changes. Beyond the Information Age can seem like science fiction– but these are real possibilities for the next 50 to 100 years. We call them Cyborg Age and the Singularity Age. At this point in our future, we’ll be considering not just devices and networks, but changes in the idea of what makes a human a human. For example, what will our bodies be like as technology advances to a time where implants—including into brain and nerve centers—are possible? What will happen as robotics advance—how will that change the future of work and labor? Finally, what happens if the once far-fetched but now seemingly possible option of ‘uploading’ our consciousness into the cloud arises—should we consider it? How would that change us as a species? We can think of this progression as a shift from a traditional human state to an augmented or even post-human state. Our goal in this article is not to advocate for a particular endpoint, set of ethics, or values but rather to describe much of what is already happening and potential outcomes. If we conceive of automobility along this Cyborg Spectrum, we can begin to see how the rise of the Industrial Age has shaped our fundamental concept of mobility and automobility. The rising tide of things we have made—and cities which have arisen to produce them—has stressed roadways originally designed for the horse and carriage, as well as outdated systems of mass transit. In the early days of digital automobility, we had a time with no connectivity between devices (in-car computers), then years of limited connectivity (early Google Maps). Now, we’re seeing the promise of advanced, always-on, cloud and ‘mesh’ connectivity, but it’s nowhere near pervasive enough to say we have 'arrived' at it yet. Further out, we will likely see smarter cities and transportation ecosystems emerge which seem to have their own neural-style networks, with the ability to predict certain circumstances and plan around them in advance. Our early days of mobility were shaped by the organic capacity of our human bodies or the horses we used to travel further distances. The distance we could travel was in proportion to the food and time we had available. Infrastructure was minimal until the horse reached larger adoption and the carriage became a more common form of transit. Even then, our roads, cities, and buildings were shaped by the presence of the horse and its… output—which was an enormous challenge for public sanitation. The introduction of horses into cities marked a point of economic stratification as the 'haves' were able to go much further and faster than those who travelled on foot. But the train and the bicycle changed that—the train with highly-efficient long-distance travel in groups, and the bicycle with relatively inexpensive, easy personal transportation. Bicycles elicited an outcry of concern about public decency, safety and etiquette when they became available, but they also increased the distance a person could travel with no resources other than their own physical effort. The bicycle has the ability to transform and extend the human body's capacity. You could say that human and bicycle combine to form a symbiont—or “cybike”—which is able to traverse entire cities in a far less time than walking. Unlike trains or boats—which require organized effort and a continuous supply of fuel—the bicycle allows its rider near-complete agency in navigating a city or landscape. Other than the pre-requisite of a simple path, nothing else is required. This radical agency carried over to the appeal of cars—but the efficiency, sustainability and accessibility did not. The automobile is perhaps the epitome of the capitalist industrial age's offering of independence. Gleaming examples of industrial design and 20th century manufacturing, cars made automobility available to the masses, fundamentally reshaping the figurative landscape of society, work, and industry. Cars, like bicycles before them, brought up issues of safety and etiquette because of the demands they placed on their environment, owners, and those around them. Cars reshaped our world as they radically accelerated the creation and expansion of roadways, brought on the enormous expansion of the petroleum industry and distribution network, and increased attention to the concept of liability. The complexity of both the road system and the car itself required assigning a capital-centric set of companies and public agencies the power to manage and build them. Yet the desire and drive for automobility was so high that we now have over a billion cars on the world’s roads. Ironically, the majority of those cars sit unused far longer than the amount of time they are driven. At least until the near future. Cars have a huge ecological impact and relatively unoptimized purchase cycles. But there are populations clamoring for the car—increasingly prosperous people in developing countries looking for the car to bring both mobility and prestige. At the same time, the rising cost of technology and liability insurance coverage is driving the total cost of ownership up for many people. Furthermore, transit systems can take a long time to evolve, and are entangled in governmental and organizational politics in a perhaps less-mutable way than automobiles. Now, networked digital technologies are making it possible to distribute ownership and optimize automobiles without requiring an entirely new generation of cars. Unmet needs in lending and insurance have given rise to many alternative models which rely on shared risk and/or shared reward as a way of supplementing—or even replacing—traditional models for managing and rewarding risk. One example is Friendsurance, a peer-to-peer ‘social insurance’ company based in Germany that invites customers to opt in to a group policy which is shared between friends. Each group policy includes a pool of money, fed by a percentage of each member’s premium, which can be used to pay out small claims. If, at the end of the year, there is money left in the pool, everyone gets their share of the remainder back. Part of the premiums still go to regular insurance, but the idea of money back each year underwritten by the desire to do right by your friends is an attractive value add—especially for people who see in their cultural identiy collaboration, community and “pay only for what you use”. In 2013, roughly 90 percent of users who took advantage of the peer-to-peer-insurance model were repaid contributions. Metromile is a car insurance company which offers customers a deal—they put a sensor in their car which tracks their driving habits and pay an insurance premium which is tailored specifically to their vehicle use. The benefit for both parties is clear: customers pay only for the amount of coverage they actually need, and Metromile gets detailed information which helps to protect themselves from risk. Other car insurance companies have used in-vehicle sensors to offer discounts for safe driving behavior, but Metromile is the first to incorporate little data in an on-demand model of insurance where customers who drive less pay less—by the mile. Little data also becomes its own product. Insurance companies’ fates are decided by how well they balance price and service with the statistical models they use to underwrite customer’s risk profiles. If Metromile or companies like them—due to user-granted access to rich, detailed data—can better predict risk, they can offer services at a lower price and higher profit margin. But Metromile can also sell access to the actuarial model to other companies, allowing them to focus on the creation of a compelling brand which has users’ interest and rapid accumulation of data. Jesse Beyroutey, a venture capitalist specializing in the field, calls this exchange ‘data diplomacy’—a new business model defined by data-sharing partnerships. In the coming decade we’ll continue to see innovative companies that want to offer customized and easily updated products—but also to inform their own statistical models for the best pricing and profit margins—creating little data agreements with their customers as a way of informing credit offers, insurance premiums, interest rates, and financial management apps. Automatic is a platform product. It’s comprised of an API for car-related information, a connected car device using existing standardized OBD (on-board diagnostic) ports available on almost all post-1996 vehicles, and a software development kit to encourage others to create value around elements of a user’s transportation information. Early examples of the system had only a few applications beyond tracking an eco score to encourage more efficient driving and giving plain-language explanations for vehicle diagnostics. But the magic of this system is following an increasingly common playbook of building a multi-sided platform. Multi-sided platforms are the digital underpinnings of businesses who create value by enabling other firms to build on top of their systems. More general-purpose examples exist in smartphone ecosystems, but increasingly, industry-specific multi-sided platforms like Automatic are jump-starting innovation in areas that are otherwise too technically or logistically complex to approach as a meager startup. One company building on top Automatic's platform is UnMooch, which allows you to automatically charge your friends for your driving time. Users can defray the cost of giving others rides without having to deal with the annoyance (and social awkwardness) of asking for money. For some customers, it’s the perfect blend of individual car ownership and Uber-esque ‘just what I need,’: low-friction payments by friends who don’t own their own cars. Such tools will likely become commonplace in the future, given their value to third parties building their own apps. The risk to disruptive digital players like Automatic is that increasingly-popular functions within modern cars will not be made available to the sensor network Automatic partly depends on (the OBD connector and the CAN-BUS system, which is is the connection port and core in-car network, respectively). Such lockouts are both predictable from a business perspective, as carmakers may view Automatic as cannibalizing the incentives for new-car sales, but also with the understandable justification that third parties may not be trustworthy players when hacking potential for in-vehicle networks can have catastrophic consequences. Automatic’s fundamental value proposition hinges on carmakers not duplicating their multi-sided platform + premium fee business model, and will require them to capitalize on their first-to-market and potentially lower-price advantages. Increasingly, third-party app development and strategic partnerships with digital disruptors is part of the carmaker’s connected vehicle strategy, and interaction with in-vehicle systems lies largely in the hands of the carmaker. The highly-visible tests of automated vehicles in the Silicon Valley have made Google the most-searched-for name in the automated vehicle discussion, at least for now. Googe’s ambitious effort to automate existing vehicles, working on the ‘worldview’ of the automated car’s artificial intelligence and algorithms, segued into a public search for automaker partners. Finding none, Google has announced its plans to design and build its own ‘driverless cars’ more reminiscent of transportation pods than the cars of today. Google’s effort garners public notice not just because of its visibility—and occasional hilarity—but because it is an earnest effort by a non-automaker to solve major transportation, safety and environmental issues. It sparks concern of monopoly and ‘big brother’, but for many, Google garners more trust compared to the tarnished reputations of some major car makers in the current paradigm of vehicle production and sales. Google’s willingness to experiment with every fundamental premise of the car experience is serving as a fierce and often unwelcome catalyst for existing industry players who are either adapting (as with the recent surge in connected car features and early collaborations) or resisting change (the sometimes-uneasy partnerships with Silicon Valley disruptors or attempts to create standalone, car-brand-specific ‘app stores’ to compete with Apple and Google’s clear dominance of mobile app marketplaces). 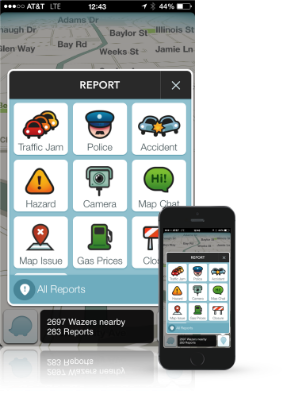 Waze is a system which does something basic mapping systems couldn’t, and which wasn't possible in the age of traffic radio and paper maps: it connects users on its network with each other in real time. Specifically, users can quickly report traffic accidents, police, speed cameras, road hazards. While most navigation systems were originally designed to help people avoid getting lost, Waze was designed specifically to help people avoid traffic delays. This difference in paradigm led designers to implement warnings of vehicles stalled on the roadside or blocking a lane, requiring connecting drivers into a rich, user-augmented web that combined both artificial intelligence-backed routes and human instantaneous edits in the same system. Google couldn’t afford to be behind the social mapping curve, so the acquisition made sense for a couple of reasons: clearly, the algorithm helps users, but also, something about the interface and business strategy of Waze meant that they could gather a critical mass of users. Although Google could likely have done either, given enough time, they chose to acquire, presumably to remain the leader in mobile mapping. Services like getaround.com allow individuals to easily enter their cars into de facto rental or carsharing arrangements with strangers. Getaround users list their own vehicles on the site, much as Airbnb hosts list their apartments, and set a price. Getaround brokers the interaction with the other set of users on its platform, drivers. By providing scheduling, insurance guarantees, long-term city parking relationships, payment management and other features which require economies of scale, Getaround makes the comparatively-risky prospect of sharing an expensive vehicle much more palatable to all parties. Uber’s app has the kind of genius functionality and ease of use that has venture capitalists award them ‘unicorn’ status. The app allows riders to request a ride in cars of varying sizes and levels of luxury (and drivers with or without formal commercial licensure). It’s the latter situation, wherein UberX hails cheaper-than-taxi rides, that rankles regulators and raises serious concerns about safety and fair competition. It’s easy to love Uber. And easy to hate it, too. Uber’s increasingly-broad reach allows everyday drivers to pass some rudimentary checks and nearly-instantly start offering their services professionally, converting underutilized family sedans (and a veritable army of Toyota Priuses) into a responsive supply of just-in-time “UberX” rides. But these non-commercial-licensed drivers eat into established taxi franchises, partly by not having to pay for higher licensure standards and formal training. This kind of encroachment into protected territory has parallels throughout the transportation and car industries, as private alternatives to public systems and radical disruption of traditional car business models are forcing established firms to take notice. The addition of a new car-hailing app didn’t change the industry so much as the evolution of a markedly different business model. Policymakers are taking on the shift to the Social Network of Things and digital automobility, quickly moving to prepare for its implications. USA Today published an article on March 13th, 2014 about California’s push to launch regulation for driverless cars. In it, the author notes that the Department of Motor Vehicles pledged to have draft regulations out by June 2014 and acknowledged that it had to have regulations finalized by the end of the year. In a state plagued with bankruptcy, it was a challenging deadline. By the summer of 2015, Tesla had announced its autopilot feature, which provided limited ‘autonomous vehicle’ functionality on highways and other predictable roads. Widely touted as the first automated driving system available to the general public, stories and videos of numerous cases of errors in the Autopilot system (and many inspiring accident-preventing safety interventions) showed that imperfect technologies will make their way to public roads whether or not regulators are fully prepared. The United States Department of Transportation (USDOT) has been working on smarter city infrastructure and frameworks for vehicle-to-vehicle communication. Such approaches have the possibility of accelerating innovation in centralized systems—especially when mandated by lawmakers. The USDOT and the National Highway Traffic Safety Association has, for example, proposed the inclusion of standardized Vehicle to Vehicle (V2V) communication systems for all US cars in just a few years—starting with vehicle-to-vehicle transponders as early as 2017. There’s precedent: the NHTSA did the same with life-saving electronic stability control systems around 2011. And President Obama has pledged four billion dollars to usher in autonomous vehicles. But such approaches also can have the effect of overly forcing innovation practices and resulting in limited feature sets. Overall, many approaches brought by incumbents—be they governmental entities or industry coalitions, go only so far as the paradigm those organizations are functioning within. If the paradigm is that vehicles are individually owned with minimal vehicle-to-vehicle common language, we will simply have better-connected cars, like the ‘horseless carriages’ which preceded Ford’s Model T.
The Promise of Digital, Multimodal Transportation Networks: Hold That Train! Multimodal transportation today goes beyond the limits of purely analog scheduling which pre-existed it, but is not markedly different in its functionality—just more efficient. For example, in the past, autobus drivers might have radioed in their location centrally for coordination of additional buses when overloaded, where now that might be handled by GPS-based reporting. The majority of functions in multimodal transit today are effectively still reporting functions which help end users coordinate their schedules with those of various transit systems, but don't go so far as to influence the schedules in real time. For example, a passengers on a train delayed by a minute cannot expect the train to which they are transferring to automatically wait them. Trains on many tracks are still manually controlled by on-train operators even if their location is provided to a central operations center. And few if any systems can manage handoff from one transit system to another dynamically, so that a vehicle arrives just in time to hand passengers off to another with minimal delays. Most navigation applications do not suggest multimodal approaches (Waze, as of this writing, does not suggest drivers simply take public transit during peak hours—it still assumes they want to use cars every time). Follow Causeit on Flipboard for More Automobility Articles. Automobility: Upshift is Causeit’s visually-rich collection of the most recent articles and industry news about the cutting edge of carmakers, transit and digital mobility. Mass transit systems are becoming part of connected mobility ecosystems, albeit slower than cars. Massively-expensive, custom systems are hard to retrofit and harder to make demand-responsive. New York City’s transit system is based on such antiquated technology that custom-manufactured parts are needed for infrastructure that sometimes dates back to the early 1900s. Meanwhile, Hong Kong’s transit system employees predictive analytics tools (also known as simple artificial intelligence) to proactively deploy engineers to portions of their system which need repair—a crucial factor in their record-breaking 99.9% on-time/reliability rate. However, even a good add-on data layer can make older transit systems more efficient. Portland, Oregon and San Francisco, California were both test beds for modernizing transit systems and deploying GPS tracking to all vehicles. Thus, next-bus/train prediction systems like the aptly-named Nextrip have been layered on top of otherwise-low-tech approaches to increase rider satisfaction and overall efficiency. But such systems lack the interoperable, API-rich innovations of connected car systems or the ease of adapting vehicles which are replaced every few years, instead of every few decade. Perhaps it is time to inquire of whether less-used routes are best served by on-demand ride systems which previously could have been prohibitively expensive, and how to radically rethinking the paradigm of ticketing and rider costs to truly include multiple modes of transit. So-called data natives expect that their devices will not just be connected but predictive, responsive and well-coordinated, and right now, the promise of digital, multi-modal transit isn't there for most individuals. Digital Automobility: How will we know when we get there? How do we know when we have gotten to fully digital automobility? In such a world, it is possible to take a fully-digitized end-to-end journey, wherein every stage is coordinated, 'on the grid,' and the interface, payment and vehicle experiences are simple, efficient and fast as possible. Truly digital automobility results in a new relationship to journeys. The focus moves to the destination, instead of the journey. It becomes easy and automatic, with fewer conscious decisions (and guesses) needing to be made by the end user. The impacts of changes in transit time are mitigated automatically. Each mode of transit coordinates with others for a responsive, even predictive mesh of resources and people, and it does so automatically and transparently. In a digital, multi-modal system, a full day's mobility is easy. A map system requests information from a user's calendar. The calendar data is used to predicts meeting & transit times. Actual meeting times update those estimates, live—and biosensors inform suggested travel time for biking and walking. Travel time, distance and resource usage converts to transit tickets with itinerary, cost, passenger, baggage and other metadata embedded. Vehicles and infrastructure sensors coordinate for handoff, decision-making, customization and efficiency. Take a day in the life of Jenna, a professional living in a smart city of the future, whose commute, work and many social obligations are aided by digital platforms for automobility. One of the most important shifts in this age is the shift in ownership from sole ownership to joint (or mesh) ownership. It is possible to rethink who can co-own a car (or other transportation system) when we can easily manage the difficult elements of sharing these expensive investments through automated scheduling, data tracking of maintenance issues and granular payments for actual usage. With digital layers, it is possible to go beyond limited models for designing individually-owned cars to design for the purchasing power of a mesh of owners and users that better represents people’s actual needs and means to pay. Such a model, based in the values of the sharing/'MESH' economy, allows mass purchasing power for high-quality, well-engineered vehicles because of better utilization rates (or arbitrage, as economists call it). Automotive safety is a difficult problem to solve. For one, the cost of safety in vehicles, especially so-called 'passive safety' like automatic braking systems, can feel like a game of diminishing returns. High-tech safety measures in a few luxury cars may result in far less of a change in safety than a broader improvement, but it can also be argued that such innovations, bankrolled in part by luxury buyers, pilot safety technologies in the real world and later inform regulatory measures. Examples include the use of airbags, which first appeared in Mercedes vehicles as early as the 70s and which are in all but the rarest of vehicles, at least in the US. And electronic stability control programs, which intervene early and imperceptibly during loss of traction to prevent spins and skids, are a first step to autonomous vehicles and are required, along with antilock braking systems, in all US vehicles model 2012 and newer. Initial research suggests that electronic stability systems may prevent the loss of 9,600 lives annually once all light vehicles have stability control. Such systems became available in entry-level luxury cars as early as the late 1990s, and less than 15 years later reached economies of scale and impact due to US regulation. Safety in the automotive context is also difficult to sell, at least to some market segments, as advanced safety technologies can be hard to demonstrate or explain, much less feel relevant, but can be some of the costliest parts of vehicle manufacturing. Thus, regulators play an important role in creating pressure to implement them. Technological advances, however, have caused a paradigm shift which may affect automotive safety not so much through direct technological improvement as business model changes. Four middle class people could buy and share one high-quality, cutting-edge vehicle, even if they could only afford four individual basic economy cars or two mid-level cars. Services like getaround.com allow individuals to easily enter their cars into de facto rental or carsharing arrangements with strangers. It's possible to extrapolate that increased access to purchasing power could correlate to safety systems along with better insurance coverage. Orchestration of various resources in a platform for automobility is difficult. Many current and legacy technologies exist together, each with their own development ecosystem, management tools and interconnections. This governance problem often leads people to thinking about a central approach for control. In such an approach, every major transportation system, vehicle, and ticketing platform would be centrally-accessible so that decisions could be made that didn’t put various passengers, vehicles or devices in conflict with each other. But the reality of transportation is far more chaotic, and central coordination is likely not a realistic answer. One option for unifying these tools—like sources of traffic data, vehicles, ticketing systems and ridesharing platforms—is to interconnect all of them in a mesh using a semi-standard language that would allow ad hoc connections between any given set of systems, with seamless negotiation from each element of that network. The benefit to users is obvious, but to do this, all of the systems in the known world would need a fairly standard model for interconnection, security and interface. An example of this is Bluetooth, which a majority of modern connected devices have available. On the ever-evolving bluetooth standard, many different ‘profiles’ for functions like audio streaming or data transfer exist, along with many levels of connectivity that help devices manage power consumption and available bandwidth. Bluetooth also has some standardized security protocols. The reality of both the technological and practical implications for a digital platform for automobility is that, certainly in the beginning, our approaches to connecting these various devices will be a hybrid mesh of central models with trusted controllers, like our current transit systems, and mesh systems with lots of relatively low-stakes decisions being negotiated case-by-case with some common language, like we have with Bluetooth connectivity. Crosswalk Example: What If This Street Was Smarter? 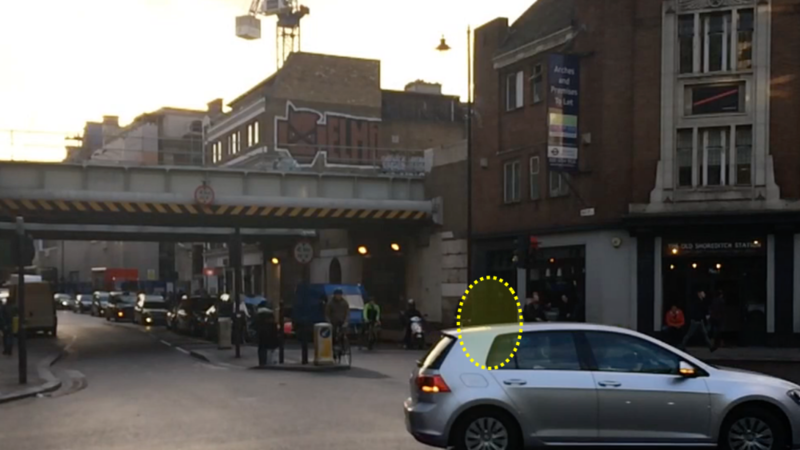 A still from a video shows a pedestrian in London crossing active traffic and how limited the options for conventional drivers are, posing questions about what is possible for the driverless or augmented-driver car. Recently, on a London street corner, busy traffic illustrated a key point about pedestrians and cars. A pedestrian crossed without a signal. The first vehicle to pass by him taps its brakes quickly and then chooses to proceed and he runs between it and another van, which doesn’t even touch its brakes. In the world of automated vehicles, we have the capacity to have much more information pass between multiple devices and people to ensure his safety and that of the drivers than we can with just humans. For example, the humans here couldn’t convey from one vehicle to another what they had seen, or how they made the judgement call they did—but an automated vehicle could. How do we design systems which can tap into the full potential of a social network of things, leveraging sidewalk sensors, the on-board systems of both conventional and driverless cars, traffic cameras and everything else available in the digital world to augment human capacity? Even more complex is the concept of having these devices not just inform each other, but negotiate an outcome. Let us suppose that two driverless vehicles identified an imminent crash. Without being able to communicate with each other, as is currently the case with most driverless technology, the vehicles would have to guess about what the other vehicle would do and would try to avoid or at least lessen an impact with only their on-board information. But if they could coordinate, they could adjust their trajectory in sync to more reliably lessen or avoid an impact altogether. And coordinated vehicles could eliminate the need for crosswalk signals altogether. In the cyborg age, humans and technology are deeply and inextricably intertwined. Implants, immersive virtual reality and other innovations beg the question, “what is it to be human?” Those privileged with connection and access to others through the web may not have the same needs for mobility as their predecessors. This age will fundamentally challenge our assumptions about work, manufacturing, value and relationships. Work in the future will be characterized by extreme fragmentation between classes. Manufacturing jobs will be threatened by robotic ‘workers,’ and even the professional services jobs once thought to be immune to computer threats, like analysts and investment managers, will be challenged by the advent of increasingly effective machine intelligence (artificial intelligence). The workforce will be more distributed and malleable than ever before. For one, digital technologies will have leveled the field between remote and ‘in-person’ work. Companies’ expansion to global markets will mean that the concept of a ‘central’ point of leadership in firms will evolve to a more networked model of leadership. Strategic partnerships between firms—a necessary approach when the complexity of interoperable, digital systems is required for new digital products--will result in a highly interdependent model of business which also leads to interdependent workforces. This could lead to more and more freelance workers, or just more ‘employee sharing’ between companies, depending on factors which cannot fully be predicted. On-demand manufacturing and 3D printing, where the concept of building things is more like printing something from a library than it is a massive, purpose-specific factory. Possible advances in 3D printing at higher and higher resolutions and with metallic materials could make individually-owned printers viable in a way which they are not currently. For a fascinating read of the possibilities of manufacturing when nanotechnology becomes pervasive, read science fiction author Neal Stephenson’s novel Diamond Age. A small but vocal camp of researchers and theorists are positing that the inevitable future for our world is a time when humans and machines converge, and that machine intelligence becomes sentient (self-aware). In such a future, notable theorists like Ray Kurzweil suggest that the concepts of work, play, and life as we know it are likely to fall away as we enter a new age for humanity. In an age where human and machine are merged, the necessity for transporting one’s body—either for work leisure—may not be necessary or even appealing. And in age when physical goods are replaced by digital goods, the concept of shipping may disappear or radically transform. Mindsets around automobility matter as much or more than any technological change. Mobility is a field filled with complex problems. Mobility uses many resources and touches so many social issues that it can become a mess of under-funded urban government, slow-to-change corporate business models and not-quite-disruptive-enough tech startups. This crisis of the commons leads well-intended strategists and technologists to either give up or point to technology as a panacea. But until we can move beyond the automobile as the ultimate symbol of automobility, all of our efforts will be optimizing paradigms of the past rather than creating new, truly digital value and fairly shared costs. Technologists and strategists today have the opportunity to envision a world of tomorrow which has sustainable models for mobility and work, and can design systems which evolve in time to keep up with that new future. We’d love your feedback, and this proto-content is going to evolve into a larger book as we receive input from learning labs, interviews, technologists, businesses and governmental leaders. Contact us with your thoughts.